periyAzhwAr did mangaLAsAsanam in the first 2 pAsurams. Not feeling satisfied about that (AzhwAr himself singing alone), AzhwAr thinking of calling bhagavath prApthi kAmar (one who wishes to serve bhagavAn), kaivalyArththi (one who asks for kaivalyam/self-enjoyment) & aiswaryArththi (one who asks for aiswaryam/wealth) as mentioned in bhagavath gIthA 7.16 “chathurvidhA bhajanthE mAm” and first calls bhagavath prApthi kAmar. As said in “EkasvAdhu na bhunjItha” (one should not enjoy alone), he is inviting others so they too can enjoy bhagavath vishayam. He is also inviting them so that he can perform mangaLAsAsanam for bhagavAn along with his devotees instead of doing that alone. AzhwAr first calls for bhagavath prApthi kAmar as ninRIruLLIrEl (Are there any one?). Then AzhwAr saw lot of others also joining and stopped such prayOjanAntharaparars (one who wishes for things other than bhagavAn himself). This means prayOjanAntharaparars are available in lots and one does not have to search for them like bhagavathprApthikAmar as mentioned in “uLLIrEl” (Are there any one?). In this samsAram, vaishNavathvam (being a true vaishNava) is difficult to find. maNNum maNamum – kainkarayaparars (Servants) lead from front while collecting soil for uthsavam. Similarly, when there is a maNam (marriage/festival) in the master’s house, the servants would fully engage themselves in the events. Similarly, AzhwAr is asking everyone to engage in such activities for emperumAn. kUzhAL – one who comes to the party just for food – this is an example for prayOjanAntharaparars (one who desires benefits other than bhagavAn himself). puguthalottOm – We will not include such prayOjanAntharaparars in our group. A question arises here. Is AzhwAr not merciful towards such persons? He is merciful – yet such persons cannot be included in the group of devotees (because they may spoil the devotional mood). Even though sage vasishta may be most merciful, he will not invite a chaNdALa (dog-eater) to perform agni kAryam (yAgam, etc). So, it is emphasised here that, for such devotees of emperumAn, relationship with prayOjanAntharaparars is to be avoided. pazhippilOm – We have no defects. Here AzhwAr is not talking about basic defects such as vishayAnthara prAvaNyam (attachment to worldly pleasures), dhEvathAnthara bhajanam (worshiping other dhEvathAs), etc. But he is talking about seeking out other benefits than emperumAn himself and engaging in other upAyams such as karma, gyAna, bhakthi yOgam, etc. 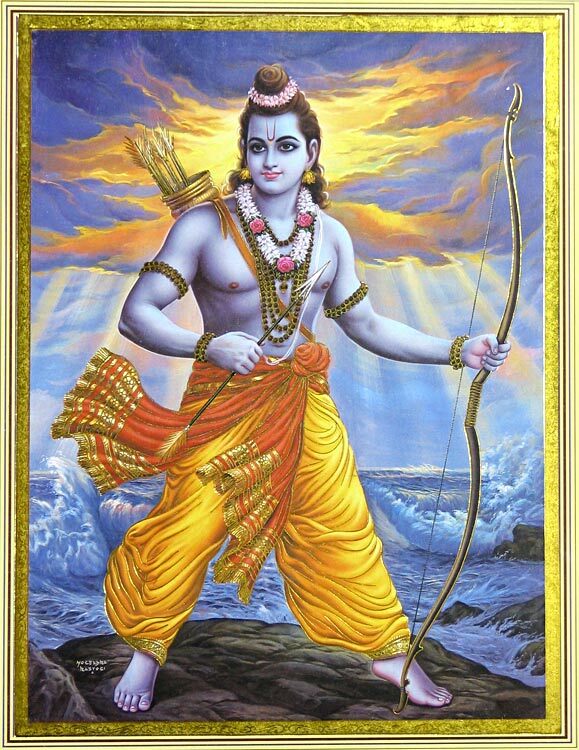 pallANdu kURuthum – When sIthA pirAtti got separated from perumAL (srI rAma), brahmA and other dhEvathAs were happy that rAvaNan will soon be destroyed, behaving like prayOjanAntharaparars. Since nobody was there at that time to perform mangaLAsAsanam, AzhwAr is saying that we are doing that now. This entry was posted in mudhalAyiram, thiruppallANdu on June 10, 2015 by Sarathy Thothathri.